In 2002 Adobe launched its Desktop Publishing software (DTP) Adobe InDesign, at the time the main DTP software was QuarkXpress. Adobe quickly took over the market with its far superior offering that worked seamlessly with Adobe Photoshop – their already very well established and industry standard image editing software. Adobe Software has always been associated with the design industry, being used only by the professionals due to its perceived complexity and intimidating work spaces. This is true to an extent as all Adobe Software can be used at a very advanced level, you can create some very complex design work and the scope is vast. However for the everyday Marketeer Adobe InDesign can be used at a very useful level where posters, leaflets and brochures can be created very quickly and easily. Especially if you are in a position where your company logo has already been created and you have branding elements to use. With your Logo and images to hand you can quickly and easily create marketing material to fit in with your already established brand. Once you grasp the basics of Adobe InDesign you will soon see the advantages over using Microsoft Powerpoint or Word to create your layouts. 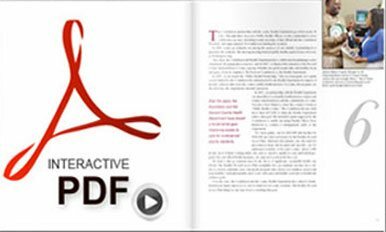 Adobe InDesign is also a master at creating PDFs for many different outcomes. You can generate high quality print ready PDF artwork that can be sent to a commercial printer to print your work in volume. You can also generate a low resolution PDFs to distribute digitally. Ive been using Adobe InDesign since its inception in 2002 and training people in it for over 12 years and in the last few years I have seen what I believe to be the two big changes that Adobe have made that have seen its popularity soar within the marketing world on top of its already huge Graphic Design customer base. It used to be that Adobe InDesign was purchased off the shelf with a single licence, it would typically cost you around £800-£900 and you would own the software forever. Every few years there would be a significant update so you would pay Adobe £200-£300 to upgrade your software to the latest version. This high cost would certainly put off the casual user or anybody who’s main job role did not include the use of Adobe InDesign on a daily basis. 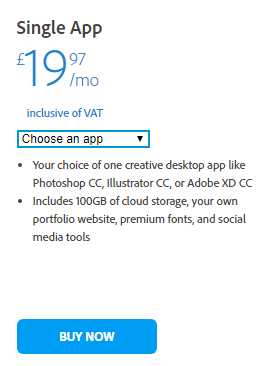 Now however Adobe InDesign is purchased on a subscription model which means you pay monthly for the use. At the time of writing Adobe InDesign was £19.97 per month, no upfront cost just download the software (7 days free trial) then start your subscription. It will also automatically update when new features and improvements are made. It wasn’t too long ago that all our main marketing material was printed to hard copies and distributed, there still is a big need for the printed material but I’m sure we have all noticed the huge turn towards everything being distributed digitally via PDF. The development team at Adobe InDesign have been very quick to react to this and have been consistently updating and improving the way we can present our digitally distributed material from Adobe InDesign. Once you can use the basics of Adobe InDesign it isnt a big leap to then start adding some really cool interactive features that will make your PDFs much more presentable on anybody’s screen. You can add image galleries, buttons, hyperlinks and submittable forms. 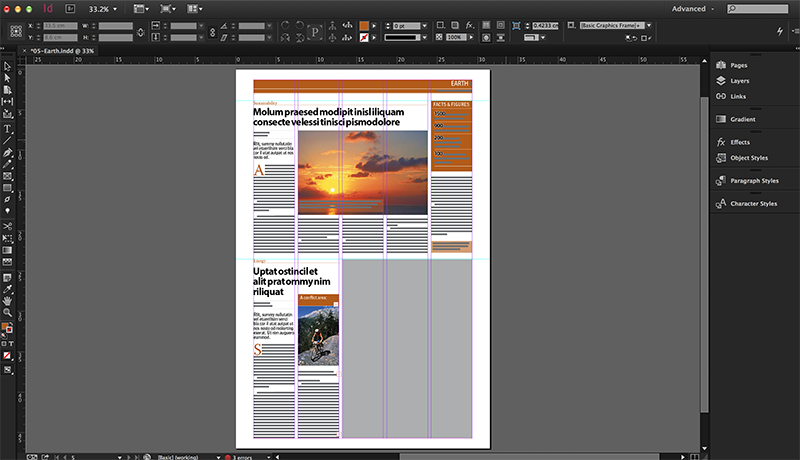 Overall Adobe InDesign can be very daunting when you open up the programme, its not very intuitive, it doesnt help you along with templates etc like Microsoft Powerpoint and Word do but with a bit of instruction and guidance you can very quickly get up to speed with the industry standard DTP software. By learning Adobe InDesign you could save you and your company thousands in art-working costs by bringing a proportion of your design and marketing material production inhouse. We have two main Adobe InDesign courses here at Creative Studios and they are increasingly becoming filled with Marketing professionals looking to give themselves the edge in an increasingly popular and competitive industry.